Waste management has been a great challenge, especially in highly populated cities around the world. Nations have been creative now more than ever in formulating and implementing environmental initiatives, policies, as well as programs on waste disposal and management. The Philippines has Republic Act 9003 also known as the Ecological Solid Waste Management Act of 2000, which enforces solid waste management and compliance with the 50 percent waste-reduction target. The UP Diliman Task Force on Solid Waste Management (UPD-TFSWM) had earlier been created through Administrative Order No. 99-25 issued by former UP Diliman Chancellor Claro T. Llaguno on July 21, 1999 in fulfillment of RA 9003. Its main objective was to provide the entire UP Diliman community with an alternative means of effective solid waste management, as garbage generation on campus continues to be a serious problem to contend with, according to Engr. Kristian July R. Yap, the head of the UPD-TFSWM. Today, the UPD-TFSWM is a comprehensive and dynamic hub that has developed from a waste management site into an integrated model urban farm, research laboratory, and educational facility. The UPD-TFSWM is focused mainly on municipal solid wastes, namely biodegradables (food and yard wastes) and recyclables. It does not handle hazardous wastes. It has implemented “integrated waste management operations” which involve a daily collection of about 200 kilos of food waste from UP housing areas within the campus, excluding dormitories. Also, a drop-in system for food wastes from campus canteens and restaurants collects about 90-100 kilos of food waste per day, according to Anna Lyn F. Yumul, UPD-TFSWM administrative staff member. 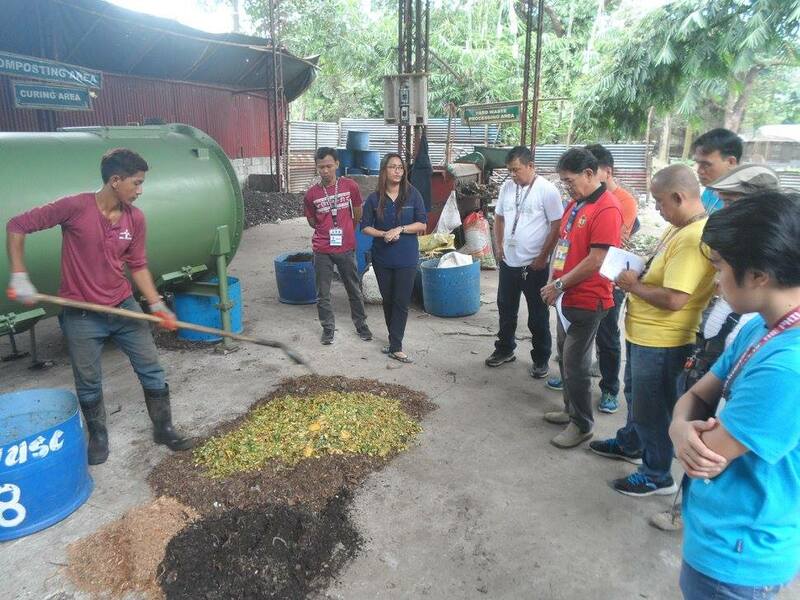 In November 2015, The Department of Science and Technology (DOST) donated the DOST-ITDI Bioreactor, a 500-kilogram capacity machine, which processes both yard and food waste into organic compost. UPD-TFSWM conducts a 24/7 processing and production of compost, and provides machine maintenance yearly. “UPD-TFSWM conducts daily processing of food wastes from campus residential areas, University canteens as well as restaurants, as well as processing of yard waste collected by the Campus Maintenance Office (CMO) and Brgy. UP Campus, then turning them into compost through conventional and bioreactor-facilitated curing using inoculants and microbes,” Anna Lyn confirmed. Aside from operation and maintenance, UPD-TFSWM is also developing its materials recovery facility into an organic vegetable garden by utilizing its compost products and scientific farming methods. “The facility makes use of its compost product for its organic farming and production of vegetables such as okra, gabi, ampalaya, kalabasa, kamote tops, pechay, lettuce, as well as basil, oregano, dill, and mint herbs depending on the season,” Anna Lyn said. In the garden, herbs along with various ornamentals are grown in sub-irrigated planters, which are makeshift plant pots from recycled plastic soda bottles. Meanwhile, fruit and vegetables, such as pineapple, yam, pandan and dragon fruit, grow in soil plots. Vegetable patches can also be found. One is called “pinakbet patch”, which combines the growing of amplaya and kalabasa; and another is the “tinola patch”, that cultivates native sili together with papaya. Pairing these plants together is based on the organic farming method of combining complementary plants that protect each other from their respective pests, according to Yumul. Organic insecticides, such as ginger and chilli pepper, are also used. Vermiculture is another feature of the facility. “This is a nutritious compost that we are introducing to our consumers and into our farming production,” Yap said. “We have expanded its scope to increase production, at the same giving us an additional source of income,” he added. Recently, the team has also started its poultry raising and production with a newly procured incubator facility. It began selling fresh organic eggs from native chickens, as well as from a particular breed called “Cobra,” to campus staff and residents, also walk-ins from outside the campus. 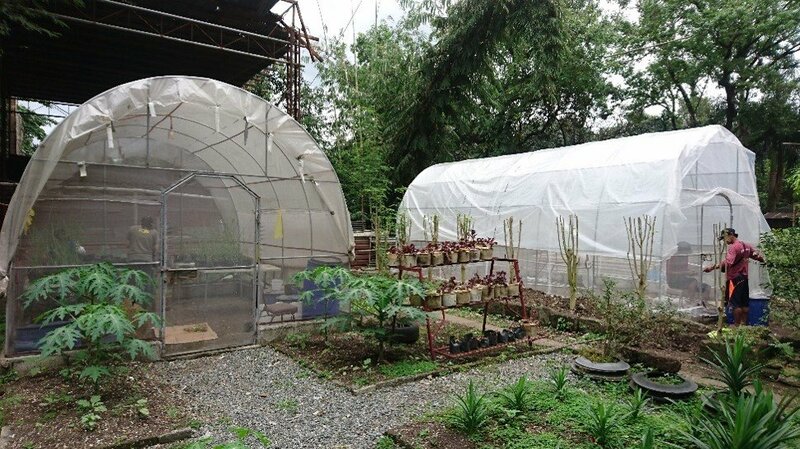 UPD-TFSWM is currently hosting two research projects in two greenhouses. One is a vetiver research project by a graduate student, an explorative study on the absorption of heavy metals contained in water. Another involves two groups of undergraduate chemical engineering students, one focused on the improvement of compost production, and the other on ways of turning waste into energy through the production of biogas from waste. 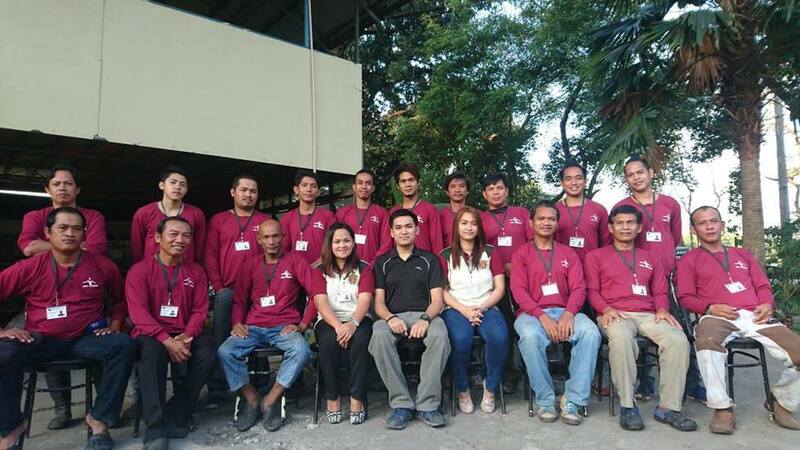 The facility also conducts training seminars on solid waste management for campus building administrators and maintenance staff, and helps set up composting areas in academic buildings and dormitories, among other public service initiatives. The UPD-TFSWM has received awards for its work, among them the Gawad Chancellor Award (2004); the model MRF of the Presidential Commission on Global Warming and Climate Change (2009); and, from the Junior International Philippines, The Outstanding Farmer Award (TOFARM) under the Agricultural Initiatives category (2012). Under Yap’s term which ends in 2019, he envisions the UPD-TFSWM to become “a facility that would improve and promote waste segregation, which is a lingering problem especially in academic buildings. Each building should have its own composting facility so that they can later produce their own compost, and making their own gardens, because that is one way of promoting sustainability. Environmental ordinances and laws cannot be enforced if there is lack of awareness and education,” Yap added. Engr. Yap also aims to expand the trainings offered by the unit in the other regions, and to improve the marketing of products to restaurants and in-house college canteens, such as the Tea Room and the University Food Service. “Right now, we are monitoring and expanding the production of our produce to ensure the consistency and sustainability of our supply. We plan to have a collaboration with our campus canteens and restaurants to supply them with fruits and vegetables,” he explained. Among other things, he looks forward to the improvement of the sales and collection of their products, which will benefit their workers, as well as more research partnerships with students, scholars, and other parties.